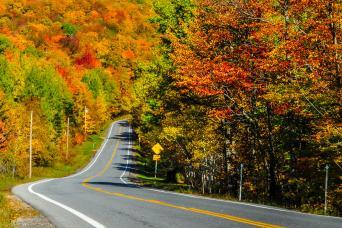 Biking Vermont is a great way to see 'the Green Mountain State' and sample all of the wonders it holds. 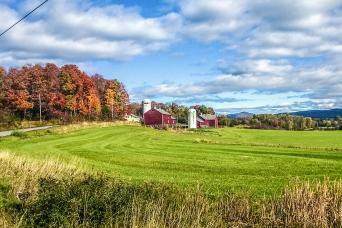 Vermont is a paradise for those who like to take life a little easy. It has the only state capital without a McDonalds, there is a ban on Billboards, so as not to ruin the views and it is a stunningly beautiful state. Lake Champlain (complete with its own mythical monster) hosts some outstanding biking tours in Vermont. 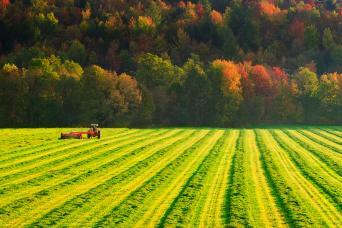 You can explore its flat, quiet shores on our Champlain Valley Escape and Vermont Villages Relaxed tours. These provide easier cycling through beautiful landscapes. Then for the Classic Vermont experience combine Lake Champlain with the Green Mountains, a verdant, undulating wilderness, made for road cycling. Bike the best of Vermont, beginning in Burlington and riding from the Champlain Valley to the heart of the Green Mountains, staying in charming inns along the way. Bike from bustling Burlington through the gentle farmland and idyllic towns of Vermont's Champlain Valley, including a day and night on the Adirondack Coast of New York and end your tour in charming Middlebury. Bike past iconic Vermont farms, take a ferry across Lake Champlain, and spend two nights each in the historic and welcoming villages of Middlebury and Vergennes on a twin-centered itinerary designed for exploration and relaxation.